"Looking to Start a Productive and Profitable Business in the Dog Niche? Or, Maybe You'd Simply Like to Add Products, Software and Value to Your Existing Dog Sites and Offerings? 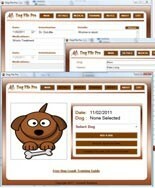 Brandable dog software that you can sell or giveaway all while building your list with each registration."